Breed bans sever the human-animal bond and cause harm to people just as they do to dogs. And they are virtually impossible to enforce in a fair way. But there is building momentum against the idea of judging a dog based on what he or she looks like, rather than how the animal behaves. The HSUS is playing a leadership role in raising awareness about the unsound line of argument behind these propositions and working to unwind them where they exist. Since January 2012, more than 120 US municipalities have rescinded their breed-based laws, including Wilmington, DE and East Dubuque, IL. One recent victory also came in Lincoln County, KY, where a tragic incident led officials to draft a particularly harsh breed ban. HSUS Kentucky director Kathryn Callahan jumped into the fray and succeeded in influencing local officials and reminding them that bans like the one proposed are not effective for dog management. In fact, they will just create more human and canine victims in the months and years ahead as families are forced to give up their pets. Nineteen states have prohibited local governments from passing breed-specific legislation and this year, the West Virginia Supreme Court of Appeals overturned a circuit court order to destroy a dog based on the presumption that the dog's breed is inherently dangerous. We're hopeful that this court ruling signals the end of breed bans anywhere in the state. Our team is now focused on repealing existing ordinances where they are doing the most harm, such as in Prince George's County, MD and Miami-Dade County, FL, which both forbid private ownership of pit bull-type dogs. We are also addressing the patchwork of ordinances in states such as Missouri, North Dakota, Ohio, and others where dogs may be welcome in one county but not in the next. Massachusetts now has a bill pending that would prohibit insurance carriers from denying coverage based on the dog's breed, and similar bills are being considered in other states. In fact, one of the nation's largest insurers, State Farm, already recognizes that a dog's breed is not an issue and has long had a policy of not discriminating against dogs based on breed or appearance. After Ohio repealed its statewide pit bull ban in 2012, State Farm reported a decrease in the number of dog-bite-related claims in the state. 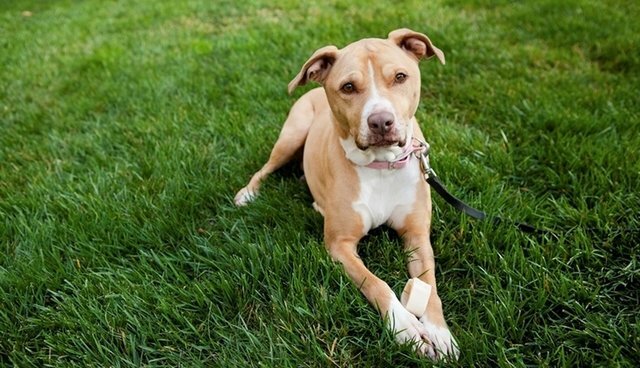 In addition to getting breed specific laws and ordinances thrown out, The HSUS recently announced another tool to fight breed discrimination: our Pets Are Welcome campaign. It includes a component to end harmful breed-ban policies in the rental housing industry. Our team is actively reaching out within the corporate housing sector, and working with companies to convert their policies from "pet-friendly" to Pets Are Welcome, meaning there are no breed, weight, or other arbitrary pet restrictions. More than 437 properties and over 100,000 units in 19 states have now established Pets Are Welcome policies, validating the idea that it's just good business to be inclusive and to handle animal-based problems on a case-by-case basis and not with a peremptory policy against entire categories of domesticated animals. Through the years, we've seen hysteria about certain breeds, but breed bans are cumbersome and wrong-footed ways to deal with problems that inevitably arise when there's a dangerous dog incident or an attack. The view that dogs should be judged entirely on appearance is an archaic one, and a spectrum of organizations, from The HSUS to the American Veterinary Medical Association to the US Centers for Disease Control and Prevention, do not endorse breed-specific legislation. We are more sensible than this, and it's time to wipe away the remaining policies, reward responsible caretakers of pets, and do what's right in safeguarding the human-animal bond.